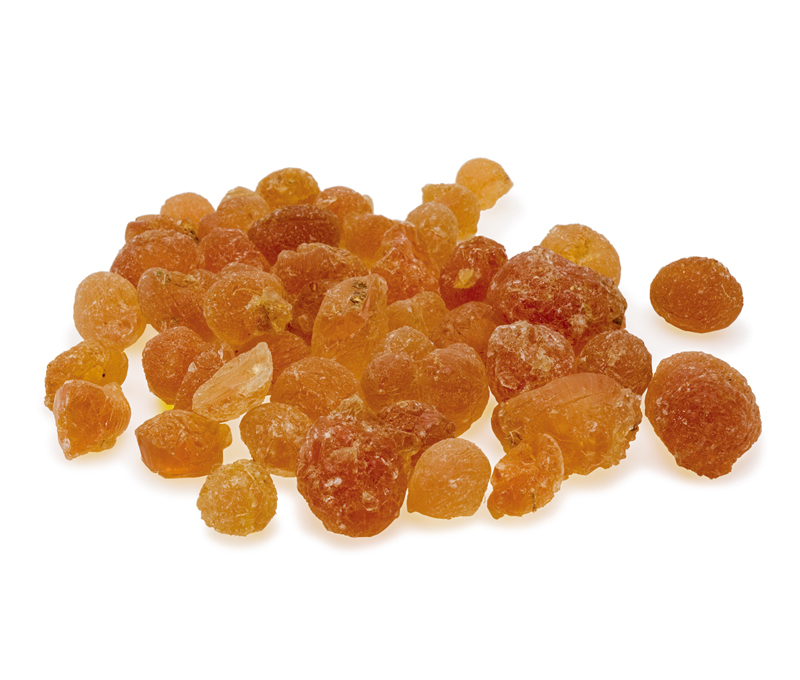 Gum Arabic is a natural resin which is used as a raw material for the gum Arabic solution used in lithography and in printmaking solutions. It is also used as a binder in watercolor paint. Gum Arabic is produced by drying a resin mainly containing Arabic acid secreted from an incision made on the bark of an acacia tree, and gum Arabic solution is made by dissolving this in 1 to 1.5 times the volume of cold or hot water. When using solid gum Arabic, it must be filtered with a cloth to remove any dirt. The concentration of the solution depends to some extent on its use but its specific gravity should be around 12 to 14 degrees Baume. The solution used with stone lithographs should be thicker than that used with aluminum printing plates.When gum Arabic solution dissolved with water is applied to the printing plate, it has the effect of removing oil content. It is also used for masking margins, leaving white sections in the image, and for preserving the plates.Also, proofing solutions for aluminum plate lithography can be produced by adding phosphoric acid and glacial acetic acid to the gum Arabic solution. For stone lithography, around 2% of nitric acid should be added to prepare a nitric acid gum solution.Solid and powdered gum Arabic can be purchased at art supply stores, etc. selling printing supplies.